2 Peter 1:5-8 really challenges me. I want to be effective and productive for the Lord, but I struggle with what it takes to do that. What does it mean to be effective and productive for the Lord? And what does it take? It means working OUT the salvation He has worked IN me so that my faith is expressed in love toward God, toward others, and yes, even toward myself. The goal? That I become more like Christ every day, and that others are reconciled to (are made one with) God in Christ. How do I slip into being ineffective and unproductive in Christ? – If I do not allow God’s love for people to flow through me toward others (1 Cor 13:3 If I give all I possess to the poor and give over my body to hardship that I may boast, but do not have love, I gain nothing). 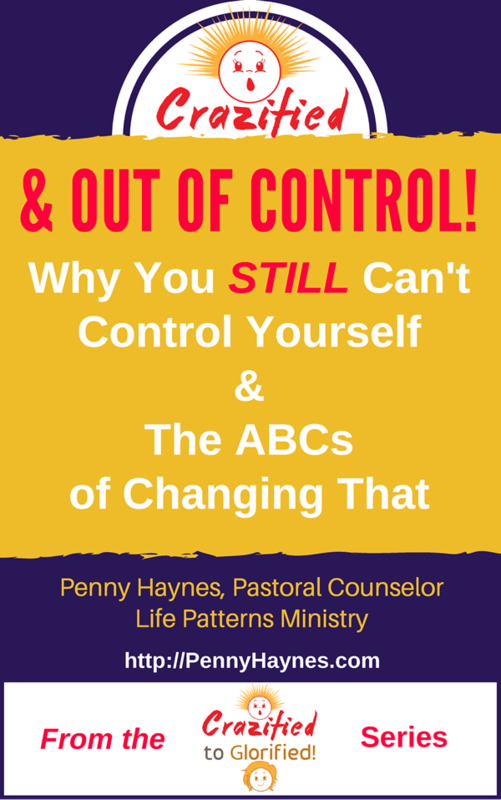 I thought my biggest problem is self-control, but when I looked at it closer, I easily slip into a critical mindset, finding fault with people. I fit God into my schedule instead of building my schedule around God. I have a problem with feeding my flesh more than my spirit. I get spiritually lazy and self-protective during hard times. I do not get close enough to people to let God love them through me. How do I make a change? Remember that every day of my life is not about me but about Christ. A good day should not be one that brings me intellectual, emotional or physical pleasure, but one that helps someone else personally experience the never-failing love of God – through me or directly through the Spirit of God. 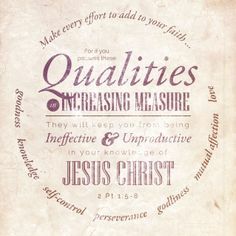 My prayer for all of us is that we may possess all these qualities in increasing measure that we may be effective and productive in our knowledge of the Lord.